The British sports car. In 1975, the VW Golf GTI sports car was launched at the Frankfurt Motor Show. It was one of the first small cars to use fuel injection instead of carburettors. This, coupled with its light weight and 1.6 litre engine, helped to create its high performance. It was offered as a 3 or 5 door hatchback, and was an immediate success. The Mark 1 Golf GTI was one of, if not the first, cars to be designated as a "Hot Hatch", referring to it being an upgraded small family saloon. Although some left hand drive cars reached the UK market in 1977, it was not until 1979 that the first right hand versions arrived. One motoring magazine trumpeted that the Mark 1 Golf GTI sports car was the third best car of the 1980's. 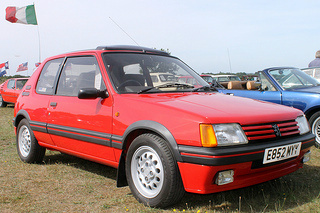 In 1984, the now successful Golf GTI sports car was presented in the Mark 2 version, again as a 3 or 5 door hatchback. Like the later Mark 1's, it used a 1.8 litre, Bosch fuel injected engine. It had a different chassis, and the new styling introduced it to a wider audience. Sales of the Mark 2 exceeded those of the Mark 1. In 1986, the Golf GTI 16v was introduced. 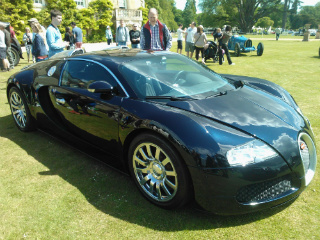 It used a 16 valve, double overhead cam, 1.8 litre engine with a compression ratio of 10:1. This model was distinguished by red and black "16" badges at the front and rear. In 1990, as part of a facelift, the Golf GTI Mark 2 received a distinctive "Big Bumper" at the front, which became standard on all future models. This addition made the Mark 2 extremely desirable. Also, that year, the Golf GTi Mark 2 G60 was launched. It used the 16 valve, double overhead cam, 1.8 litre engine fitted with a G60 supercharger, and a compression ratio of 8.8:1. 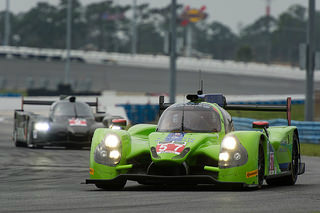 Its performance was impressive. The G60 16V engine was the toughest G60 unit that VW produced. It was a limited edition model, with only 71 ever built. In 1992, the Golf GTI Mark 3 sports car was launched. The basic model used a 2 litre, 8 valve, single overhead cam engine, developing 115 bhp. However, in 1993, the Mark 3 was fitted with a 2 litre, 16 valve, double overhead cam engine which developed 150 bhp. In 1992, a version of the Golf GTI Mark 3 was introduced. Called the VR6, it was powered by a 2.8 litre, 12 valve, double overhead cam, V6 engine, developing 174 bhp. It was an instant success. In 1998, the Golf GTI Mark 4 sports car was introduced with improved body styling. The basic model used the 2 litre, 8 valve engine as in the Mark 3. Finally, in 2002, the capacity of the 2.6 litre, V6 engine was increased to 3.2 litres. It had a six speed gearbox, a compression ratio of 11.3:1, and developed 238 bhp. This was the Golf R32. 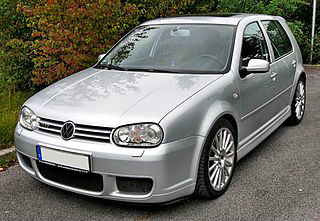 2003 R32 This 3.2 litre, 24 valve V6 developed 247 bhp and 236 ft/lbs giving it a 155 mph top and 0-60 in 6.4 secs. I want one! 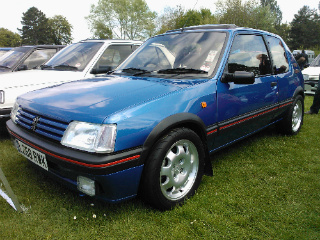 In 1984, the Peugeot 205 GTI 1.6 sports car was launched. Offered as a three door hatchback, it was considered to be among the most popular hot hatches on the decade. Due to its light weight, it had a high power to weight ratio. Early versions were powered by Peugeot's 8 valve, single overhead cam, 1.6 litre engine with Bosch fuel injection, a five speed gearbox, and disc brakes all round. The engine was an all aluminium unit, being flexible and easy to rev. 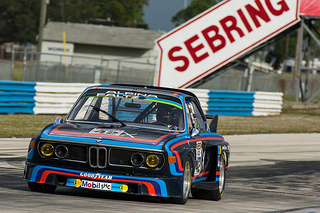 In 1986, it was slightly modified with larger valves, an uprated camshaft, and a close ratio gearbox. That same year, a convertible version was introduced. 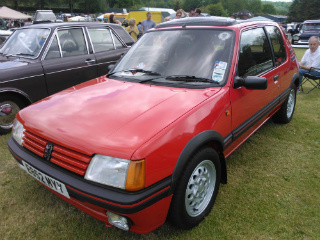 Also in 1986, the Peugeot 205 GTI 1.9 sports car was introduced. 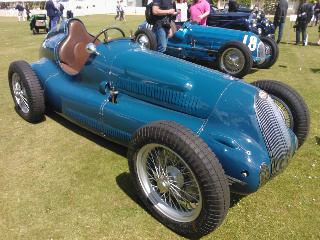 This used a long stroke, 1.9 litre version of the original engine. The result was greatly improved flexibility. The suspension was stiffened to reduce pitch and roll. 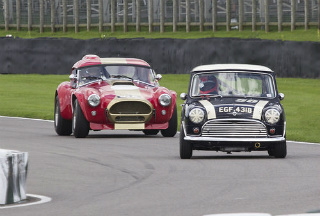 The shorter stroke 1.6 litre engine had the reputation of being eager and easy to rev, whilst the 1.9 litre had more torque, and felt lazier but with more torque. Strict emission regulations caused the 1.6 version to be withdrawn in 1992. However, by enabling the 1.9 version to perform effectively with a catalytic converter, which reduced bhp to 122, production was maintained until 1994. Post 1990 cars are the ones to look out for. A total of 332,942 inits of the three variants were built. It has been suggested, but yet to be proved, that the Peugeot 205 GTI stole the crown from the VW Golf GTI in terms of who was the king of the GTI's. 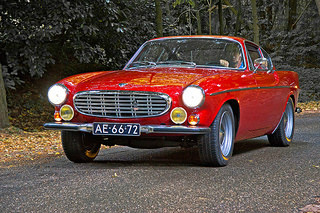 1969 VOLVO P 1800 S Built in Scotland, this 2 litre, straight-4, 118 bhp, reached 120 mph, and became famous when seen in the TV Series "The Saint"
Got an interesting European Sports Car story to tell?